Not for the common good. Evolution and Human Communication. Human communication is obviously different from that of any other species. We alone produce television shows, compose music and poetry, argue aesthetics and ethics, do stand-up comedy, write annual reports, applications, scientific treatises and love letters. Yet, as remarkably distinct as are these human communication processes, if we rule out divine intervention or extraterrestrial explanations, evolutionary theory tells us that this human uniqueness must be explained by the gradual, incremental accumulation of traits, building upon the long line of our evolutionary ancestors. 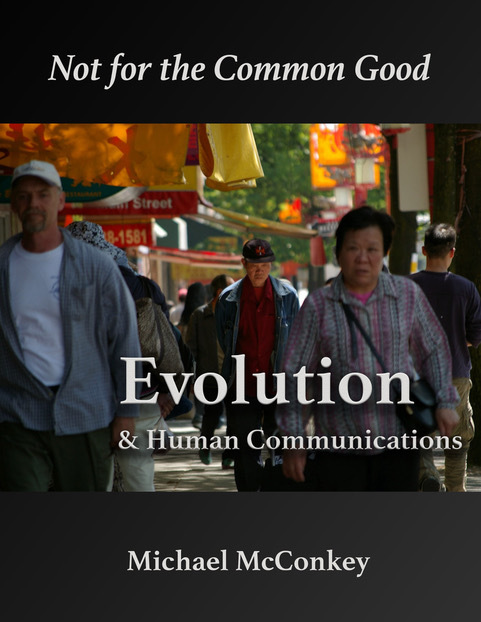 This book explores the evolutionary legacy of human communication and the implications of that legacy for understanding our human world.